"According to the Q2 2014 Media Intelligence Report from Neustar, the cloud-based information services provider, social media was 70% cheaperthan the average cost for digital spend across social, portals, networks, and exchanges. Social media is a tool. It isn't 'marketing' itself, and if you've paid some social media guru to implement a program at your company, absent other substantive structural and strategy changes, then you've kicked yourself for wasting the money. However, or in many cases because of, mistakes like that and misconceptions, many B2B companies refuse to properly use social media. And that refusal results in a large opportunity cost to their business. Failing to use social media effectively in an integrated B2B marketing program is a business risk. Many senior execs at B2B industrial manufacturing companies are about as comfortable with social media as esurance's Beatrice. Facebook is a great tool for keeping up with grandchildren, and Instagram is something they read about in headlines in the context of celebrity antics and indiscretions. Social media is neither intuitive nor comfortable for them to use personally, and that colors their opinion of how to use it for business. 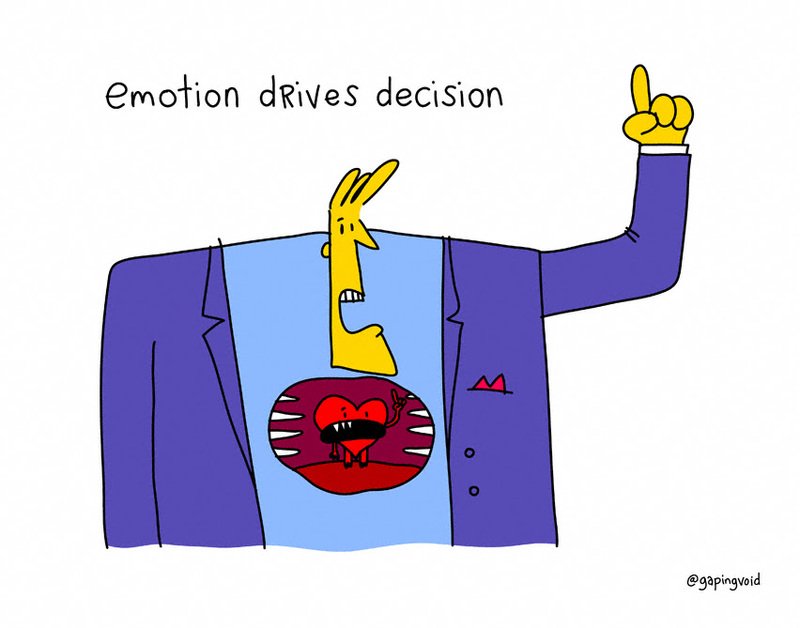 Their decision is made on emotion (their truths) rather than real truths. But they hear enough about it, and are harangued by enough folks to use it that they eventually relent. And since it's not a serious tool (like a trade show) responsibility is assigned to the person in the company most personally adept at using the tools. That's often the intern....who's now speaking to the world authoritatively on the company's behalf. Would you send that junior staffer out to do a major trade journal interview? Of course not! And therein lies yet another business risk that many companies encounter in tentative use of social media for their industrial marketing. Do executives know too much? I wrote recently about the management skills gap that faces manufacturers. But Mark Twain put it much more succinctly. "It ain't what you know that gets you into trouble. It's what you know for sure that just ain't so." That's really the problem - everything that executives, and even traditional marketing folks know for sure....that is simply incorrect. There are certainly risks associated with the use of social media in B2B marketing - and the biggest is failing to leverage it properly. Others include competitive risks and actual warranty risks. One recent article even suggests that use of social media by employees represents a compliance risk for multinationals! But the risks can be reasonably mitigated once acknowledged - and the benefit when social media is properly used far outweighs the risks for most companies in most industries. Want to learn more? Download our free eBook on the 7 Biggest Business & Legal Risks of Social Media in B2B Marketing.